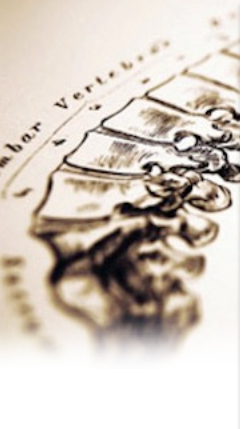 Kinum Chiropractic was founded in 1958. My father was born and raised in Scotia as was his father. If you explore any old maps of Scotia, you'll notice a large section called "Kinum's Woods" where the Schools, Corporations Park and the Navy Depot are now located. After serving our country, my father became a Mortician. His mother was quite instrumental in this decision as she wanted him to always have work if another depression happened. Dad soon discovered that he had no passion for this career. His passion was to become a Doctor of Chiropractic (D.C.). His mother was horrified and said "if you become a Chiropractor, I'll never speak to you again". My father was committed and left for college anyway. My grandmother did accept his choice and became a happy patient of my dad's. Dad's education in mortuary college served him well. Dad was in practice for about 6 years when the State of New York initiated the first State License Exam. It was written by the medical doctors who already exposed their disdain for the new health care profession. As a result, the test was really challenging and many did not pass the test. My father did pass and earned the respect of a few M.D. 's in the area. I remember one time when one of Dad's patients was seeing their "regular doctor" and they began to rant about seeing a "Quack Chiropractor" and stopped to ask..."who are you seeing"? "Oh, Dr. Kinum"..."umm, he's okay". My father went on to earn the respect of his fellow Chiropractors when he became one of the first instructors for Activator Methods Inc. (You can learn more about Activator Methods under that heading in our website) Dad was prolific in his research and development of the newest advancements for the technique earning the "Idea of the Year" 4 out of 5 years. Dad was also asked to join a "by invitation only" group of elite Chiropractors called: "The Knights of the Round Table". The New York State Chiropractic Association, recognized my father with the first "Lifetime Achievement" award ever bestowed just a few months before dad passed. Dad passed away November 15, 2008. He left a big pair of shoes for me to try on every so often. In my experience, I have had times where I couldn't keep those shoes on very well and other times where they fit a bit better. Most days I just wear my own. My father was an amazing mentor and I couldn't have asked for a better teacher. I recall a moment before dad passed when it became clear to me that I hadn't trusted my experience of growing up in that environment as much as I trusted the opinions of the neighborhood. I apologized to my dad for not trusting what I saw to be true as much as what others thought. My dad looked right at me and said, "you were a good student". Powerful, gracious words from my teacher. It is my hope that although my father has passed, you may have a better sense of who he was and where this all came from. I have been in practice since 1986. I have my own moments of distinction which all come in some way from what I learned from my father, everyone who taught me something, my faith and how I put that into use my way.